Posted by WCCA on May 6, 2015 at 10:10 am under Uncategorized. There is a place that exists in the endless mountains of northeastern Pennsylvania that I like to refer to as Neverland sometimes. It actually may not be that accurate of a description, because the place I’m talking about actually exists. Also, Neverland has scary and corrupt pirates running around, and this place has a lakeside water slide and a tree house that can fit an entire bunk of kids inside. The place I’m talking about, is called Indian Head Camp. 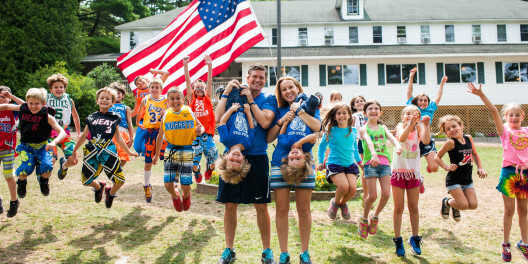 At Indian Head Camp, boys and girls ages six to sixteen get to be kids for seven weeks. 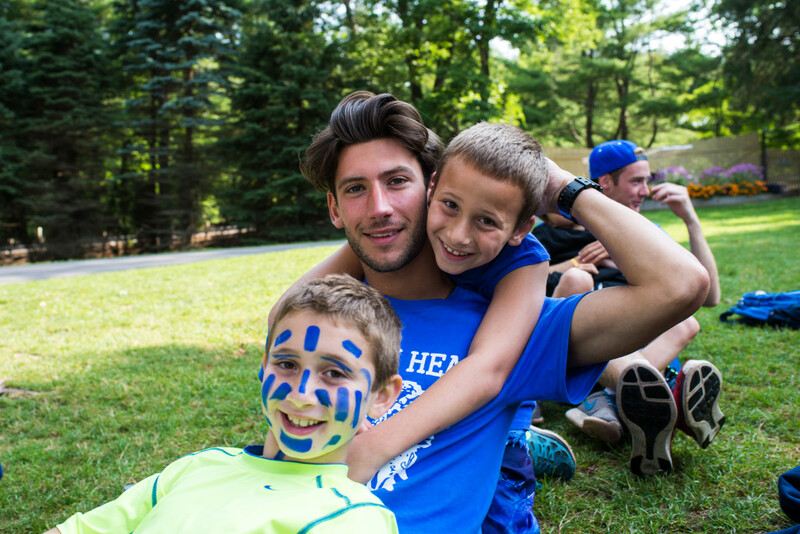 The majority of the kids return as campers for ten straight summers, and even afterwards some return as councilors to share the experience with others. There’s no homework at camp, and there’s certainly no time for Snapchat, Instagram, or any other apps or internet because at Indian Head Camp, cell phones are not allowed. Neither is make-up. That’s right, we have sixteen year old’s at Indian Head who don’t have their cell phone for seven weeks, and don’t wear make-up. And here’s the crazy part—they have been doing it for ten summers, and they have been having the time of their lives. It’s hard to describe a typical day at Indian Head but I can try to summarize it. Every day, 300 boys, 300 girls, and 300 staff members try to create the ultimate kid day. It’s filled with a balance of sports, fun in the lake and pool, creative arts, and outdoor adventure. Camp offers every sport you can possibly think of, played on some of the largest and most beautiful fields and courts you’ve ever seen. Most of the campers time is spent playing and having fun, but camp also offers inter-camp competitions, and one-on-one training and development for sports like tennis or soccer. Every year, a massive camp-wide Olympics lets campers compete, cheer, and celebrate all the sports they love together. Kids get wet at camp every day. Indian Head is surrounded by a serene lake, where kids get to swim, waterski, canoe, kayak, stand-up paddle, jump on a trampoline, or slide down a water slide. If pools are more their thing, they’ve got that too— along with certified American Red Cross Swim Instructors and Lifeguards who will help them become a better swimmer who enjoys the water in a safe way. The creative arts offering at camp is overwhelming. Everyday, kids get to work on arts and crafts, fine arts, woodworking, ceramics, cooking, singing, dancing, music and instruments, and an array of other activities that get their creative juices flowing. Every camper at Indian Head goes home with a variety of creations that they personally make with a little help from our fantastic staff of artists. When it comes to Indian Head’s outdoor adventure program, it’s hard to find a more comprehensive experience. The younger ages learn about nature and exploration while they stay in tents on the camp premisses, and the older campers begin exploring adventures in hiking, rock climbing, and kayaking throughout the beautiful Adirondack state park region. All of the outdoor staff are formally trained in outdoor adventure safety, education, and implementation—and get hands-on experience at all of the locations that the kids travel to. We’re not even scratching the surface at Indian Head. 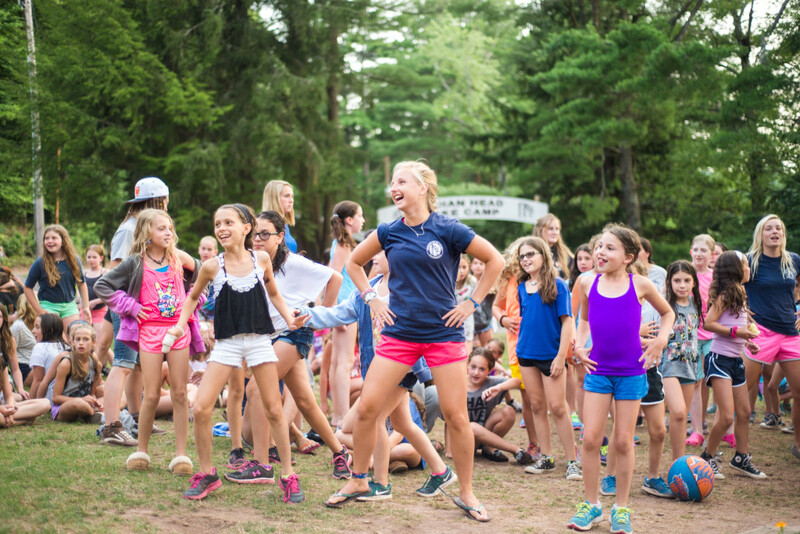 The camp offers a different evening activity for the kids every night, along with dozens of special camp-wide activities, trips, games, and competitions. One of the favorite divisions at camp is called Tribe West, which takes the campers on a road trip across the country where they get to camp, hike, surf, horse-back ride, white-water raft, and do about a hundred other things that they’ll talk about for the rest of their life. At Indian Head Camp, 600 campers get to enjoy their childhood for seven weeks, ten summers, and with zero cell phones. It’s an extraordinary place filled with extraordinary people and experiences, and I truly hope you get the opportunity to experience even a portion of it one day. Indian Head Camp, welcome home. Interested in working at camp? (Of course you are!) Click Here.